The largest coldwater trout hatchery in the state, Big Springs Trout Hatchery is located 7 miles southeast of Lewistown next to Big Springs, the originating point of Big Spring Creek. The hatchery produces over 130,000 pounds of fish annually, and is open to the public every day of the week, dawn to dusk. The public can view fish in the hatchery raceways but are encouraged not to feed or bother them. 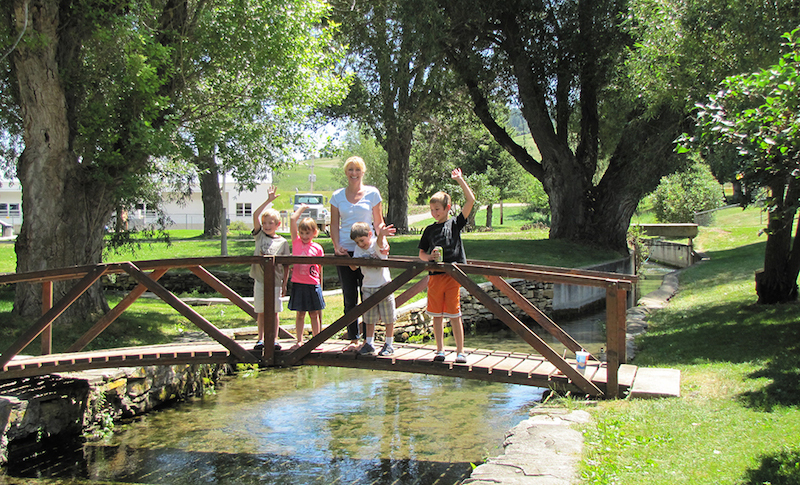 The perfect spot to spend an afternoon with family and friends, the highlight of this beautiful picnic spot is the springs and trails which follow the creek as it begins its journey to town. Hatchery raceways, natural rock-walled bridges, tranquil ponds, and willow trees provide a rustic, scenic backdrop for the adjacent park. There is a circular trout display pool near the origin of the spring where people can buy a handful of fish food and feed the large fish in the pool. The park also offers wildlife viewing of deer, small mammals, and a variety of birds, and includes a picnic area, shelters, restrooms, and volleyball and baseball fields.